We look forward to bringing you more improvements next year. Let us know what is at the top of your Google Docs and Sites wish list in the comments. On behalf of the entire the Google Docs and Google Sites teams, happy holidays! We’ll see you in the New Year! featured on this blog. Well, we have one more to show you this year, created entirely with Google Docs, demonstrating the power of nothing but the web -- and it just might be our favorite yet. If you like what you see, vote for “Epic Docs Animation.” Let the Slam begin! If you’re reading this post, you’ve probably seen your fair share of Google Docs videos featured on this blog. Well, we have one more to show you this year, created entirely with Google Docs, demonstrating the power of nothing but the web -- and it just might be our favorite yet. 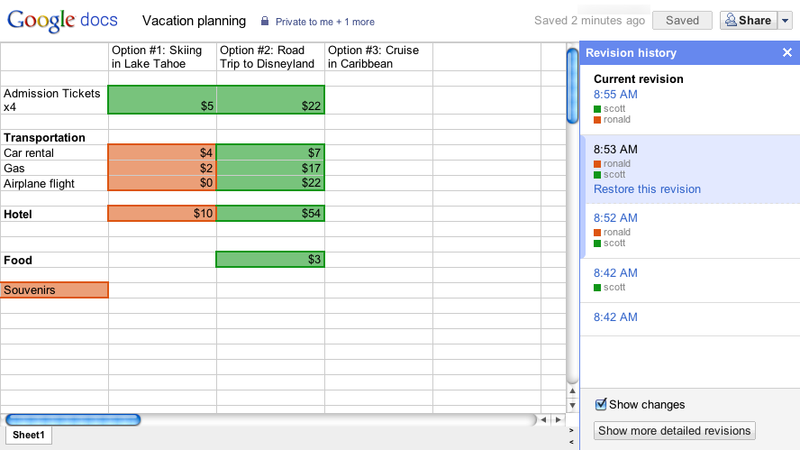 is now available in spreadsheets. At a glance, you can now see all of the changes that collaborators have made cell-by-cell. Each collaborator is represented by a different color so it is easy to understand who made what changes. Today we’re excited to announce that the new revision history view we added to documents is now available in spreadsheets. At a glance, you can now see all of the changes that collaborators have made cell-by-cell. Each collaborator is represented by a different color so it is easy to understand who made what changes. , it’s easier than ever to build anything from a family tree to a flowchart in just a few minutes. In honor of the holidays, we thought we’d create a bracket-style showdown between our favorite types of pie. Select Shape from the Insert menu, and you’ll see a variety of bubbles, arrows, and symbols to choose from. I used the rounded rectangle shape for this example, but you can select the shape that’s best for your flowchart. From there, you can double-click on individual bubbles to enter text. When you select and drag a particular object, the snap to guides will help you line it up with other objects. Hold Shift and click to select multiple objects at once. This allows you to move these objects around as a group. 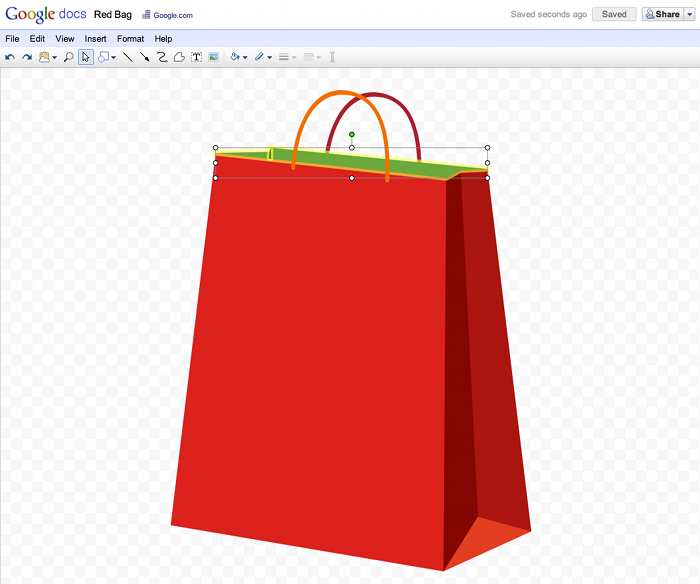 Next, use our newly launched connector tool to attach lines to your shapes. Even if you move or rotate your shapes, they’ll stay connected. In just a few steps, you’ll have created an organizational chart that you can share, download, or embed into another Google doc. Try it out for yourself. Want to know what else you can do in Google drawings? Check out our template gallery for more inspiration. With the new addition of connectors in Google drawings, it’s easier than ever to build anything from a family tree to a flowchart in just a few minutes. online was really that easy or seamless using just his Google account. To see more videos or to send someone a tech support care package of your own, visit TeachParentsTech.org. Recently my dad, Eugene, asked me to help him backup all his pictures and files to avoid potentially losing important memories. The conversation that followed was interesting as I attempted to explain how great cloud storage was, but suffice it to say that my dad wasn’t convinced that sharing large files online was really that easy or seamless using just his Google account. on many popular mobile phones and on the iPad. The new mobile editor is fast and lightweight, but sometimes you want to make more style edits like changing a font, or center aligning a paragraph. If you’re on an iPad, you can do that by visiting the Desktop version of the document editor. If you want to insert formulas in a Google spreadsheet from your iPad, you can use the same trick. Just click Go to spreadsheet view at the top of the mobile view to try out the full version of Google spreadsheets. You can now insert formulas in from the editable formula bar. Of course, mobile and even tablet browsers are still not as powerful as their desktop counterparts, which is why we recently launched the mobile-optimized version of the Google documents editor for the iPad. But we figured for one-off times when you need to make an advanced change, that Desktop link might be just what you’re looking for. A couple weeks ago, we made is possible to edit your documents on many popular mobile phones and on the iPad.
. While we’ve had real-time collaboration in spreadsheets since 2006, we enhanced our collaboration in documents in April 2010 to be truly real-time. Now you can follow along character-by-character with your friends, family and colleagues. Google Docs on mobile devices. You can now view and edit on your Google Docs on the go. 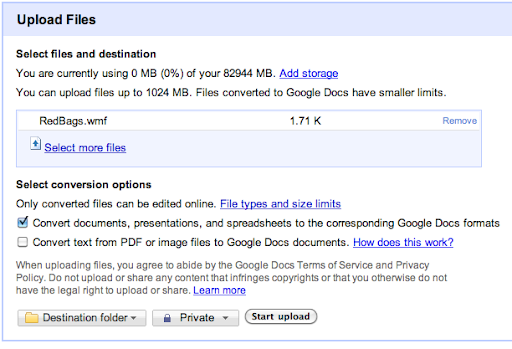 Convert more file types to Google Docs format. 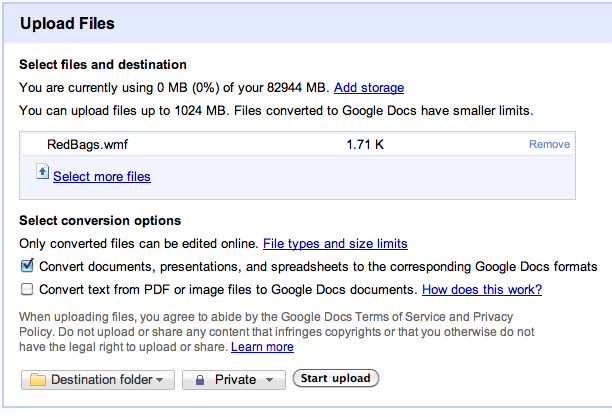 You can convert a variety of file types - from .doc to .txt to .pdf - to Google Docs format and vice versa. Optical Character Recognition (OCR). 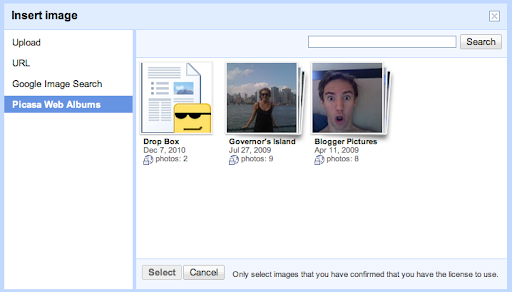 This new feature interprets scanned files and PDF files and converts them to Google documents format. A stand-alone drawings editor. You requested a mind mapping tool, and we delivered Google drawings. 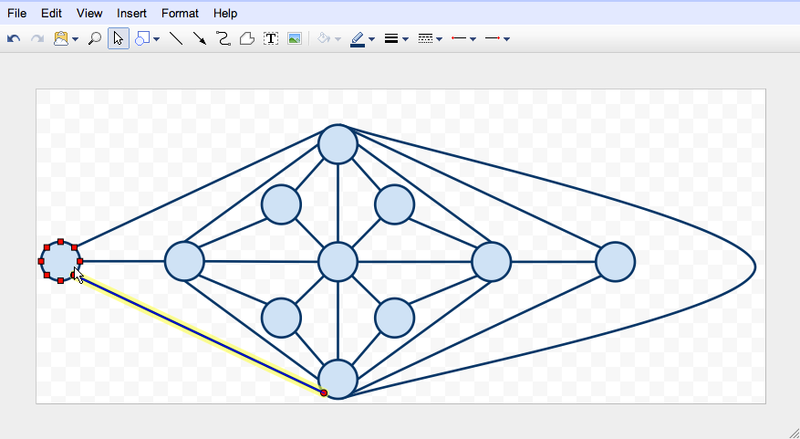 And to make your mind maps and drawings even better, we just added connectors. Chat in documents, presentations and spreadsheets. Now you can ask fellow collaborators a question right in the document. A more consistent look for all Google Docs editors. Documents, presentations and spreadsheets used to have different interfaces and varying menus. Advanced sorting rules and in-cell drop down lists. These two features in Google spreadsheets now make your spreadsheet editing and organization more streamlined. We’re starting a new process with the Product Ideas page to make sure we keep it fresh and avoid favoring older posts. We’ve temporarily closed the page to new posts to gather a comprehensive look at your ideas thus far and to restructure our Product Ideas sessions. In order to get the most precise feedback possible, the new Product Ideas sessions will be targeted at a specific feature, product or idea. These sessions will happen every three months or so for a few weeks at a time. As we receive new ideas on the Product Ideas page, we’ll keep working hard to implement the top requests and ideas that are posted. We’ll let you all know when the ideas page is open and post ongoing updates here on the blog and in the help forum. Real-time collaboration. While we’ve had real-time collaboration in spreadsheets since 2006, we enhanced our collaboration in documents in April 2010 to be truly real-time. Now you can follow along character-by-character with your friends, family and colleagues. Since we launched Google drawings in April, the most requested feature has been line connectors. 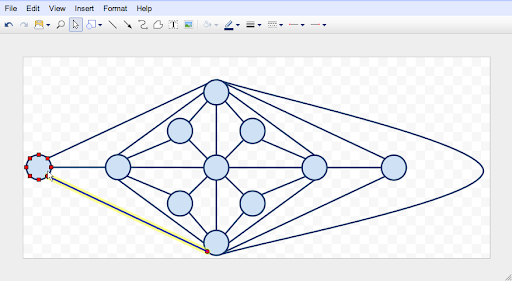 Starting today, all new lines can connect to shapes making it easier to create flowcharts and complex diagrams. 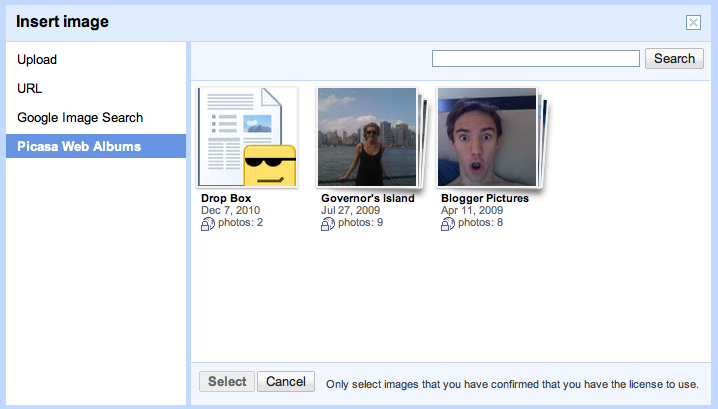 If you’ve got images stored in your Picasa web albums, the image dialog will let you insert those images directly into documents and drawings. A couple weeks ago, we introduced compact controls to the document editor. This week we’re bringing compact controls to the drawing editor as well. We also added a new feature to both documents and drawings: hidden controls. Choosing View -> Hide controls will hide the title bar, menu bar, and toolbar. Once you’ve hidden the controls, you can always press Esc to make them appear again. We now support uploading WMF (Windows Metafile) files and converting them into Google drawings. Stay tuned for in-depth posts throughout the rest of the week. was announced at the Chrome event in San Francisco today, giving Chrome users an easy way to discover a broad range of amazing web apps. 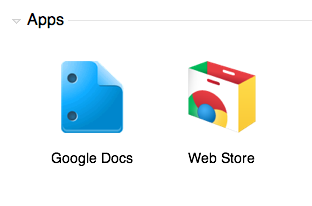 You can install our Google Docs web app by clicking Install on our store landing page. This will add a handy shortcut to your favorite web productivity app. In addition, at the event today, we were excited to demonstrate a feature that we expect to deliver early in 2011 -- the return of offline support for Google Docs. For those who used offline, we are bringing back the much improved feature by taking advantage of advancements in modern browser technology like HTML5. Together, the web app plus the upcoming offline feature will make it even easier to access your docs everywhere you are. The Chrome Web Store was announced at the Chrome event in San Francisco today, giving Chrome users an easy way to discover a broad range of amazing web apps. 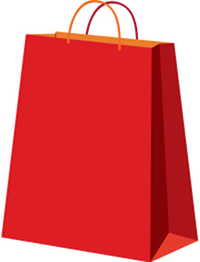 You can install our Google Docs web app by clicking Install on our store landing page. This will add a handy shortcut to your favorite web productivity app.